A time travel series set in the broadcast television world. Focusing on a writer who meets her past self and gives her advise on her life. 32 years old for woman is an age which may be little too late to start something new or little too early to give up something. The ‘future-self’ comes to ‘me’ today and gives advices about life and marriage. The future-self is trying to bring better life by helping her to meet a perfect spouse. Na Mi Rae (Choi Myung Gil), a television broadcast writer, travels back in time to meet her 32-year-old self (Yoon Eun Hye) with the goal of preventing her marriage to Kim Shin (Lee Dong Gun) who is a broadcast announcer and thus send her past self down a different path in life. Meanwhile, Park Se Joo (Jung Yong Hwa) is a handsome and talented Producer who is also a series lead. 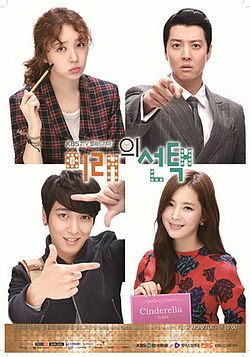 Seo Yoo Kyung (Han Chae Ah) completes the love rectangle as a reporter.